A while back, art critic Jerry Saltz published The Richter Resolution calling for a moratorium on the use of projection in the production of art, especially painting. Luckily for me the moratorium had expired when I purchased a little pocket sized projector. My newest paintings are the first time I have ever used projection. I've never been morally opposed to its use. I enjoy good art regardless of how it is produced. I just don't think my previous work would have benefited from projection. In these new works, I'm not trying to achieve type of photo-realistic verisimilitude. The placement of the object on the canvas was critical to these pieces and projection allowed me to play with size and placement until I felt it was right. 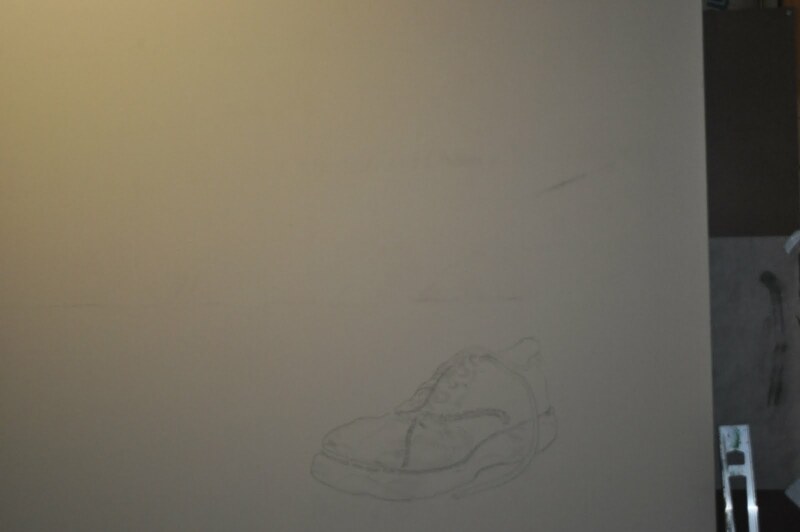 Much of the drawing was ignored as the paintings progressed. 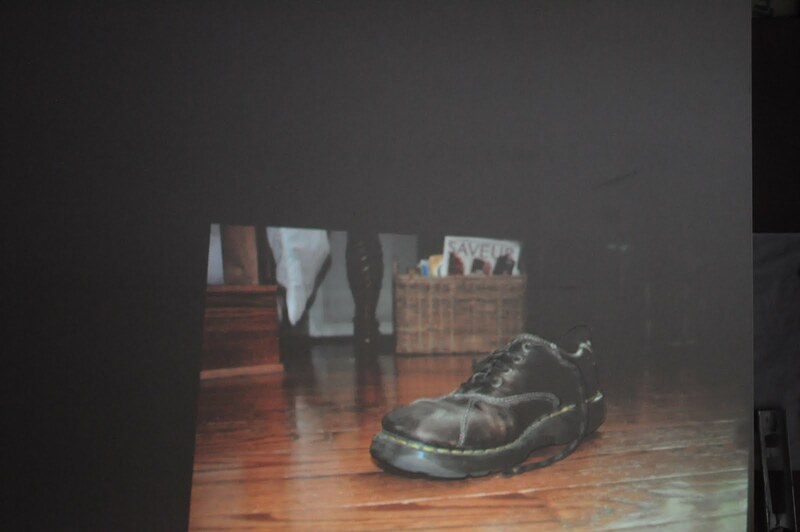 Here I show the projection, the drawn object and the finished piece Standing on the Shoulders of Giants. 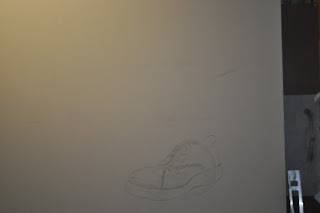 I would keep losing some of the details of the shoes as I would layer paint so I was constantly correcting the drawing. 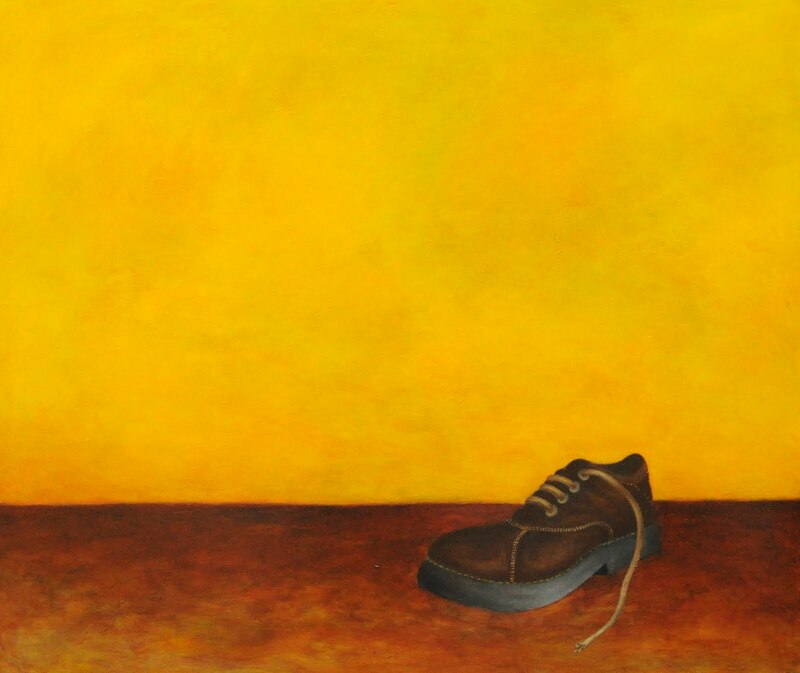 While I spent time and energy on the image, the painting is not about the shoe.